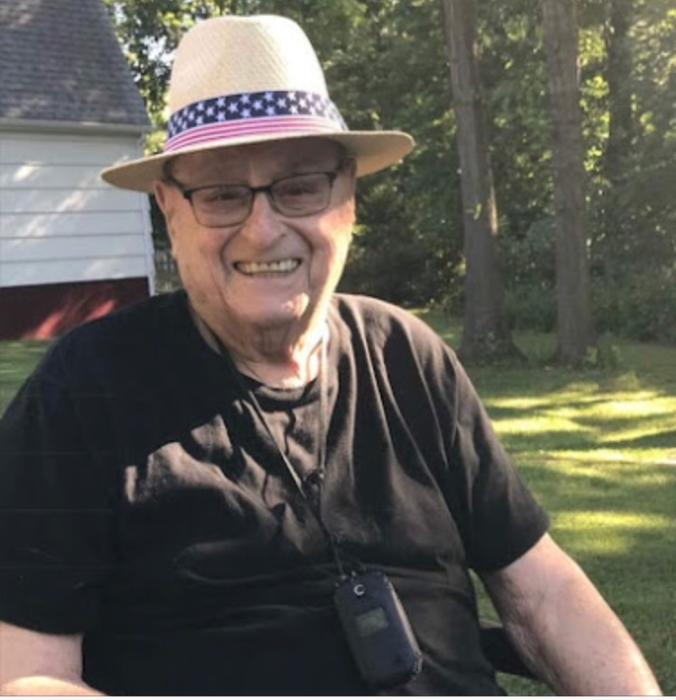 Peter A. Biggiani, 95, of East Hanover, passed away peacefully on February 7, 2019. Peter served in the US Army during WWII and was a partner in Guidolume Furniture & Clock Center in East Hanover. Beloved husband of the late Gloria (Lete). Devoted father of Peter J. Biggiani, his wife Bridget, Patricia Gips, Jeffrey Biggiani, his wife Debbie, James Biggiani, Gregory Biggiani, his wife Shruti and Carolyn Biggiani Bieber. Cherished grandfather of 17 grandchildren and 24 great-grandchildren. Also survived by his sister Olga McNelis. Visitation at the Leonardis Memorial Home 210 Ridgedale Ave. Florham Park on Sunday from 1-5pm. Funeral on Monday assembling at the funeral home at 8:45am followed by the funeral mass at St. Rose of Lima Church in East Hanover at 9:45am. Interment at Gate of Heaven Cemetery.